Additional Description: During the 1880's, the twenty mule teams hauled borax from the refinery at Harmony Borax Works to the railroad at Mohave, California, 165 miles away. The twenty mule teams hauled loads of 36 1/2 tons and made the trip to Mojave in 10 days, maintaining almost timetable precision. The triumph of the twenty mule teams over the harsh desert was tremendous, but brief. 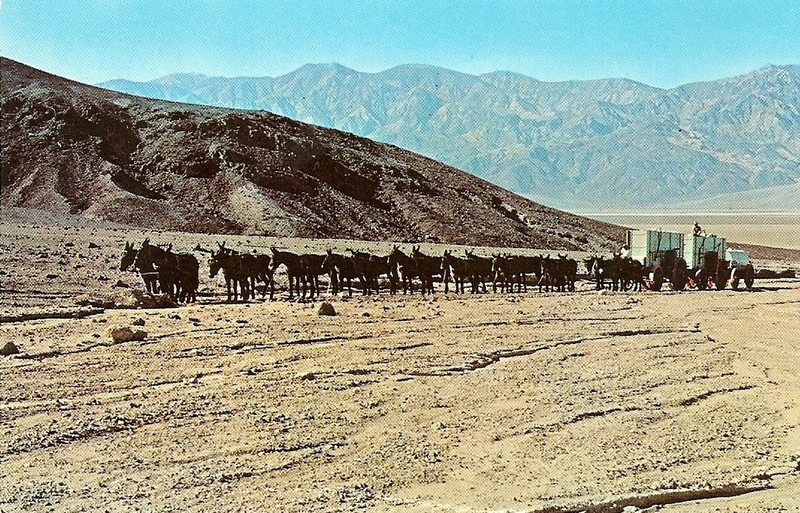 In 1888 the great wagons and the twenty mule teams made their last trip out of Death Valley. Submitted: September 29, 2008, by Syd Whittle of El Dorado Hills, California.